sidi bouzid – Pourquoi pas !! Our LoCo Team Ubuntu-tn continues to cross all around Tunisia and visit various Tunisian cities to present Ubuntu and free software. This time we stopped by Sidi Bouzid town, and more specifically at the Higher Institute of Technological Studies of Sidi Bouzid (ISET) in response to an invitation received from the Computer Science Department. As usual, a number of our LoCo Team members volunteered to make the journey to Sidi Bouzid and participate in the event. Thanks to the efforts and contribution of our friend Chaker Zaafouri – an Ubuntu-tn member and a citizen originating from the city- we arranged the necessary preparation and even the accommodations (it was very hectic for him to pick up members on the way out and bring them back home on his own expenses, without forgetting the fact that they’ve been hosted at his home throughout the weekend). The day began by a series of lectures and presentations (in French) to students and teachers in the amphitheatre (more than 100 persons). 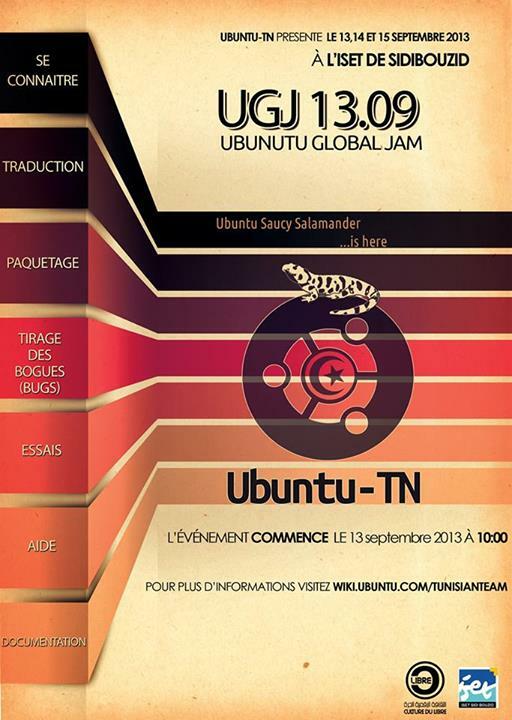 Presentation of Ubuntu: the OS, its features and variants. Ubuntu: The first steps towards the daily use. Migrating from Microsoft Office to OpenOffice.org. Virtualization with VirtualBox in Ubuntu. Many of these presentations are available on our presentations wiki page. Obviously each presentation was followed by an open discussion between ubuntu-tn LoCo members and attendees. In the afternoon, a mini install party of Ubuntu 8.10 was assured by Ubuntu-tn members to twenty students who remained at the institute despite the bad weather and the lack of transport for back home once the day reached its end. On Sunday, April 5th of 2009, and in order to combine business with pleasure, the day organisers invited our LoCo members for a hiking session to Aïn Rabaw stream where we have drawn on our artistic talents to mark the passage our LoCo in such magnificent place. To all the attendees and the day organisers: a big THANK YOU. 1 – French version of the report : here. 2 – Translated by me, and reviewed by Hanen & Rached.